You may have noticed that we spend a significant amount of our time and resources teaching shelters about kennel enrichment and playgroups. We thought we’d take some time to explain how kennel enrichment and playgroups fit in with our mission to secure equal treatment and opportunity for “pit bull” dogs. Increasing “pit bull” dog adoptions in shelters. 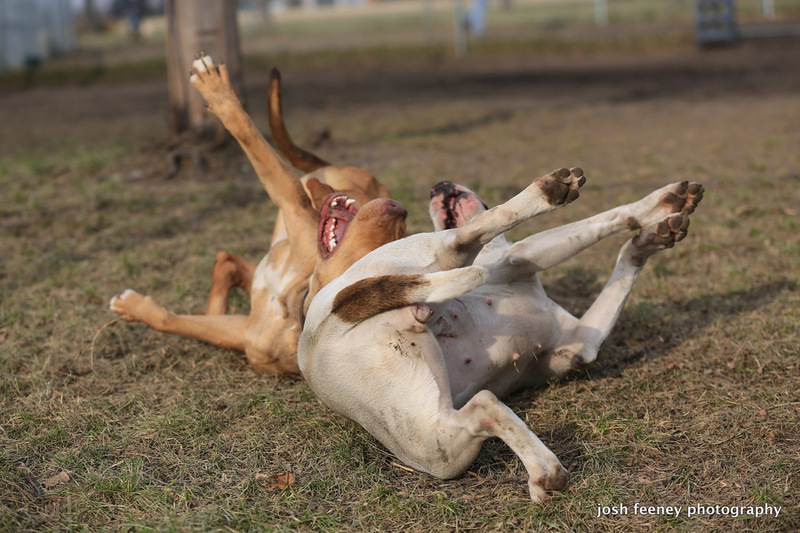 Teaching shelters how to think and communicate about “pit bull” dogs as individuals. Here’s how both of these issues are interconnected. It’s a common misconception that there is a secret recipe for boosting “pit bull” dog adoptions or that a shelter needs to take extraordinary measures to increase their adoption rates. In our experience, along with lifting restrictive blanket policies, when the staff and volunteers view and communicate about each dog as an individual – free of stereotypes and assumptions – adoptions will increase in quantity and quality. When we marginalize, restrict, or stereotype the dogs in our care, it slows their adoptions because it relays the message that “pit bull” dogs are different (deviant) from other dogs. 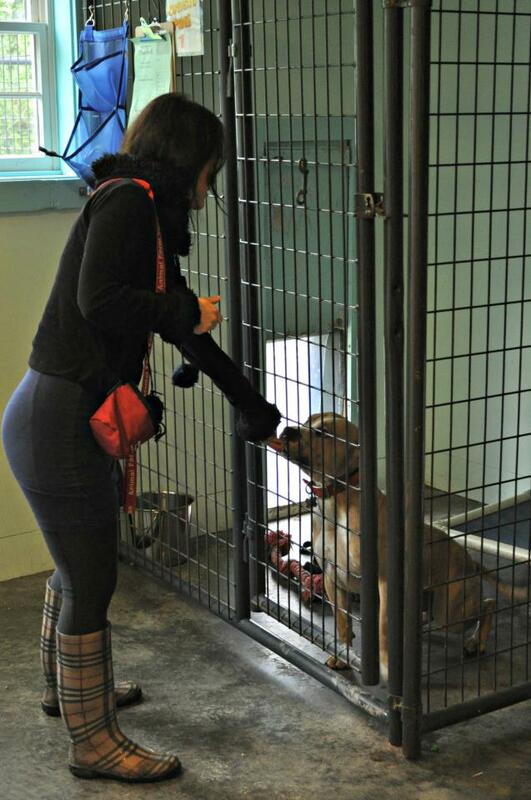 To increase adoptions, shelters need to make an internal shift in how its staff views the dogs. When that happens, everything else falls into place – observations, marketing, adoption counseling, training, etc. Asking people to change the way they view “pit bull” dogs challenges their own deeply held beliefs and personal experiences. It’s nearly impossible to shift someone’s thinking just by throwing information at them. People need to have actual experiences with these dogs for the change to happen. The most impactful way to affect people’s attitudes toward any particular group of dogs (or humans) is to give them a positive personal experience. We can’t understate the role of direct experience in changing attitudes and opinions. This is why kennel enrichment and playgroups are vital to all shelter dogs. Both are a real life experiences that help the staff and volunteers see “pit bull” dogs in a new way. 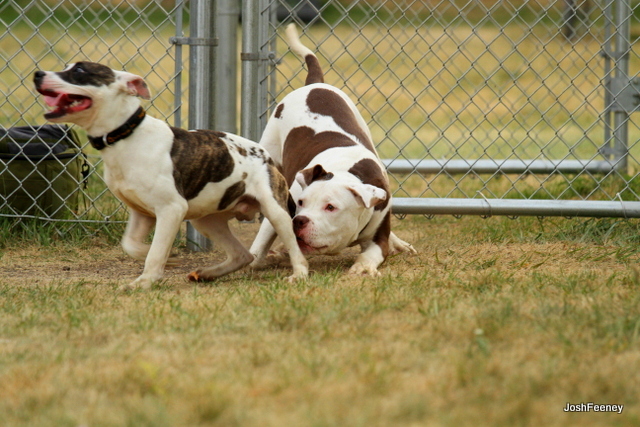 Seeing “pit bull” dogs interact with other dogs in the yards helps shelter staff understand that a dog’s behavior in their kennel isn’t an accurate indicator of a dog’s social skills. Many dogs are labeled “aggressive” due to their kennel or on leash behavior. This label may go unchallenged if it confirms an already present (sometimes unconscious) bias among the staff that “pit bull” dogs aren’t capable of being dog social. We can tell them that kennel and leash behavior is not an accurate indicator of off leash social skills, but that’s hard to believe. So we stopped telling and started showing. Playgroups have the power to shift deeply entrenched thinking. After seeing playgroups, staff members quickly grasp that the behavior generalizations they’ve made about some dogs may not have been correct. More importantly, they realize these assumptions may have prevented someone from adopting the dogs. Seeing “pit bull” dogs happily and safely socializing with other dogs translates into a perspective shift that helps staff and volunteers let go of breed-based stereotypes and myths. When they witness one “pit bull” dog after another displaying appropriate social skills, a big light bulb goes off! Suddenly, it becomes clear: “Pit bull” dogs ARE individuals. Once the staff recognizes that “pit bull” dogs are individuals, then the dogs get fair, unbiased treatment and care. This kind of “individual first” way of seeing the dogs leads to increased adoptions. Even better, adoption rates increase for ALL dogs when the dogs are calm in their kennels and/or when the public can view the dogs in a more natural environment than just the kennels. It’s much more fun and less intimidating for adopters to watch dogs play outside than it is to walk through noisy kennels. Plus, it busts through their preconceived notions – they get to see a side of the dogs that might not have come out in a kennel environment. While it’s best if the public can see the playgroups in person, photos of play sessions shared on your website and social media will help too. Marketing matters. Even if the play groups are not open to public viewing, play sessions support the mental and physical health of the dogs. Allowing dogs to socialize and play reduces behavior problems in the kennels because they get to know their environment and burn off energy so that they can relax. With or without playgroups as part of the rotation, daily kennel enrichment, such as meals in Kongs, quiet time with volunteers, and training games also exercise and support the dogs’ minds and bodies. This leads to calmer behavior in their kennels, reduced barking, and better kennel presentation overall. Adopters are more likely to choose dogs that are pleasant and quiet in their kennels. When an adopter passes on the chance to meet a “pit bull” dog available for adoption, it’s important for staff to consider: Was the dog well behaved in their kennel or bouncing off the walls? If the dog wasn’t calm or happy, it may not be accurate to blame their breed label for the public’s lack of interest. It’s more likely that the dog’s individual behavior was a turn off. Luckily, we can do something about that through enrichment. Give the dogs activities to keep them busy and tire them out, before and during visiting hours. Help them present well in their kennels and the public will notice them! If there’s any “secret” to increasing “pit bull” dog adoptions, it’s in teaching the staff to see all dogs for who they are, to support the mental and physical health of all dogs during their stay in the shelter, and help the public see the dogs in a better light. The “secret” is to help people (adopters and the staff) have a shift in perspective. 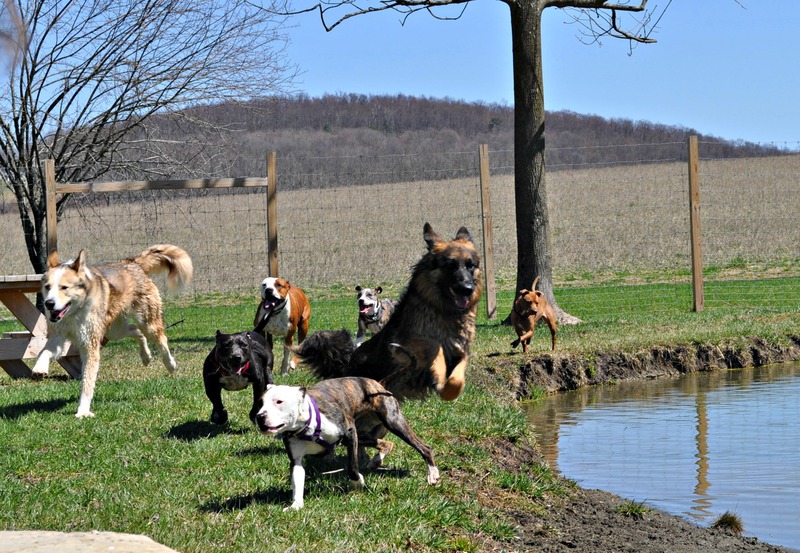 Kennel enrichment and playgroups provide the direct, positive experience that allows for this change in attitude. And that’s why investing in kennel enrichment and play groups supports our mission to secure equal treatment and opportunity for “pit bull” dogs! 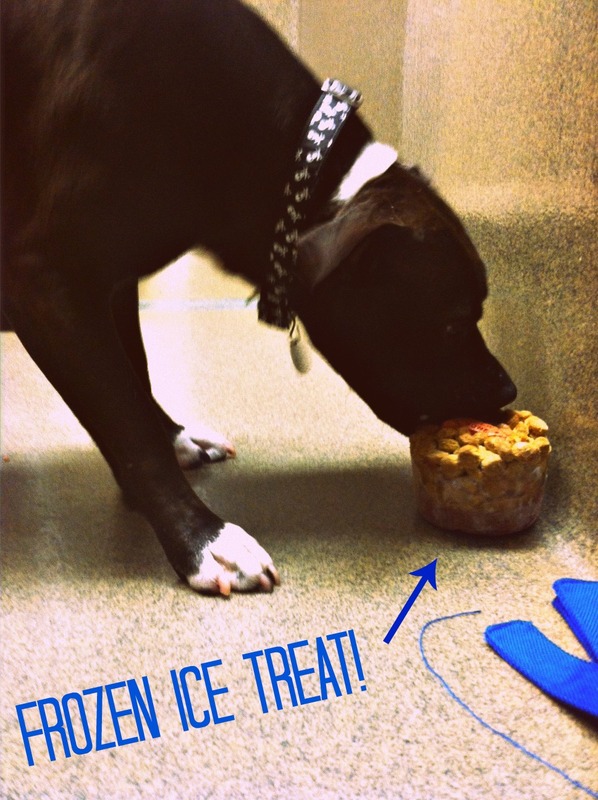 To learn more, check out our Kennel Enrichment Best Practices. Next Can Animal Trainers and Behaviorists Be Divorced from Animal Advocacy? at the shelter where I volunteer more than one dog is not allowed in the play yard unless they are kenneled together-pits are rarely kenneled together-therefore no play group. Two pits were picked up in the field together and were housed together, the male was very laid back and submissive, the female was younger and more playful. They loved each other, When the male was tired he would lay down and the female tried to prod him into playing. Granted they played rough, just about as rough as my Chihuahuas. the female was put down for dog aggression-that was WRONG WRONG WRONG!!!! She was killed for wanting to play. this incident reinforced the policy that pits should never be housed together, So they live their short lives in solitary confinement.